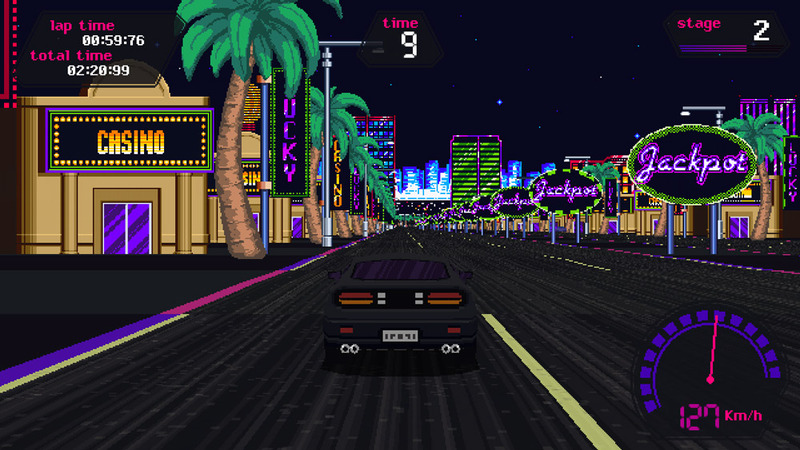 "A nostalgic and retro style racing game"
Slipstream is a an arcade style retro racer game very much in the style for anyone that remembers games such as Outrun this will be positively a trip down nostalgia lane. 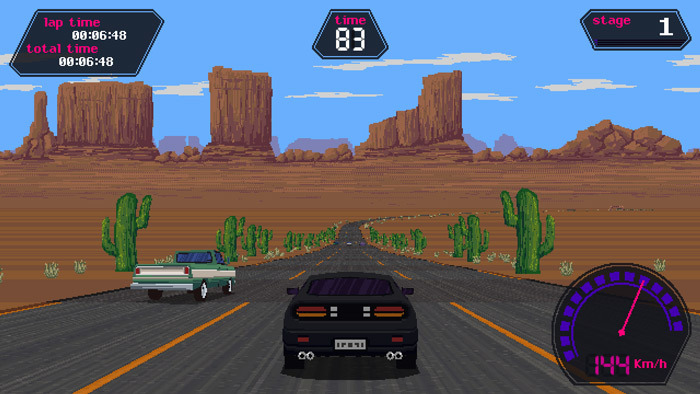 The game is not without its issues how many of those are purposely to make the game feel old is hard to tell but steering can be a very difficult part of the driving skill to get used to (hint take your finger off the accelerator during sharp turns) which can be seen as a challenge or rather annoying depending on your perspective. Putting aside the game play in Slipstream it’s actually a very cool trip down memory for those of you old enough to remember these types of racing games and the low poly graphics add rather than detract from the charm of the game. 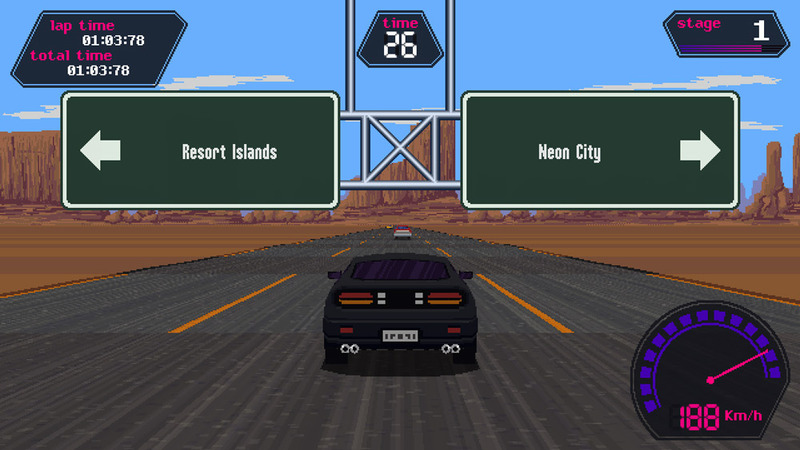 If you can get used to the rather clunky handling of the car and keyboard controls then there is a lot of fun to be had here and fighting against the clock (and other cars) to make it to the next checkpoint gives the game a fun sense of purpose. You can download Slipstream: 3rd Demo here for free.